Every now and then, we all experience a little anxiety. But what exactly is anxiety? The origin of anxiety can be sourced from millions of potential situations but is unique to each of us. Some of us build-up anxiety from work-related stress, others will formulate their anxiety from family pressure, or even from being in a negative relationship. With so many possible causes, specialists and psychologists have been working for many years to categorize all forms of anxiety into types. Types of anxiety can help you to diagnose, get help and build a better understanding how to overcome your anxiety. For healthcare professionals, anxiety types help to decipher the intensity and status of your anxiety. This, in turn, helps them to prescribe solutions and advice for their patients. Being aware of your type of anxiety will pay dividends when it comes to being able to control the effects of anxiety and bring a cure to the table. How does anxiety impact your every day? Millions of people suffer from anxiety on a daily basis. Before we begin, it is important to underline that anxiety disorders are widely present around the world. In the United States, anxiety disorders are amongst the most common mental illness. From the 40 million US citizens suffering from mental health conditions, almost 7 million of them suffer from Generalised Anxiety Disorder (GAD), which we will discuss later in this article. With a further 15 million suffering from society anxiety disorder. (ADAA, 2015). GAD is one of the most commonly known anxiety types. The APAA (Anxiety and Depression Association) reported that around 7 million US adults, accounting for 3.1% of the U.S. population, suffer from Generalized Anxiety Disorder, with women being twice as likely to be affected as men. 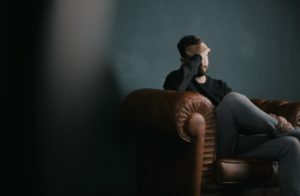 Individuals with GAD tend to find it difficult to control their anxiety, worrying about a number of things and commonly experience “excessive anxiety and worry”. Sufferers tend to worry over topics such as money, family, work, health and other issues. GAD is referred to as the “worry cycle” where those affected are concerned about even getting through a day, where there is no apparent issue to be worried. The disorder tends to occur between childhood and middle age. Although the anxiety from GAD can be mild, those with GAD can be employed and function socially in groups and in everyday activities. The exact cause of GAD is unknown, but there are many factors such as background, life experiences and work which play a role in this. Equally common with men and women, this disorder can start from the age of 13. According to an ADAA report, over 15 million people in the US (6.8% of the U.S population) currently suffer from social anxiety disorder. Another survey issued by ADAA showcased the level of concern for the disorder, with 36% of people with social anxiety disorder reporting experiencing symptoms for 10 or more years before seeking advice and help. Social anxiety disorder is the fear of being judged in performance or social situations from others. This disorder can disrupt daily life, with this social phobia causing issues with romance, relationships and leave the individual feeling powerless, alone and even ashamed. This is normally uncovered from childhood, where children suffering are prone to clinging behavior, tantrums and mutism. Capturing the symptoms of this disorder earlier can help save time and future difficulties in development. Social anxiety disorder is not a regular shade of shyness, but a full fledged interaction issue that has become one of the leading types of anxiety disorders in the U.S and around the world. Out-of-the-blue panic attacks are the center of this disorder and occur spontaneously. Panic attacks can happen at any time of the day and within sleep hours. Understanding the symptoms of a panic attack can help to determine whether you or a family member suffers from these. 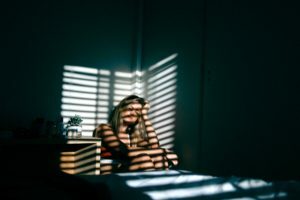 Panic disorder is again, a very emotional topic for many, as individuals believe that this disorder doesn’t exist and are commonly embarrassed to address issues with this. Many suffer in silence when the treatment can be very beneficial. Learning to overcome the fear around your attacks and potential recurring attacks in the future can help to remove this anxiety from your daily life. Very similar to panic disorder, Agoraphobia associates your fear to going into situations or places to which you’ve previously suffered a panic attack. Agoraphobia is the fear of your environment. This could mean public places, where they feel that finding a fast escape might not be possible. From those who suffer from panic disorder, according to the ADAA, 1 in 3 people will develop agoraphobia as a secondary impact from panic attacks. Those who suffer from agoraphobia tend to stick to their smaller environments in an effort to defend themselves from the next panic attack. This is a growing disorder, stemming from the problems of other disorders. Anxiety types come in many shapes and sizes, where you might think a phobia is natural, for many, a phobia can have a dramatic impact on their confidence. Phobias can range from being afraid of heights to being terrified of old elevators (and much more). Phobias are normally developed from an irrational fear of something where people feel powerless and not in control. The intensity of your fear matters, being able to gauge how worried and uncomfortable you are in these situations will help you to understand how each phobia affects you. Having a phobia can disrupt your routine, reduce your productivity and lower your confidence in certain situations. You can place a strain on other things when experiencing a phobia. Phobias can be treated in many different ways, therapy and visits to your doctors can help you understand your phobia and provide actionable advice on how to overcome this in everyday activities. According to the ADAA, Post-Traumatic Stress Disorder affects around 7.7 million Americans, aged 18 and onwards, with countless cases around the world. PTSD occurs when you are exposed to traumatic events and women are twice as likely to suffer from PTSD than men. PTSD commonly is formed after experiencing traumatic events, those who suffer from PTSD should tend to have flashbacks, nightmares, or intrusive memories. An incredible 67% of people exposed to mass violence have suffered from some sort of PTSD, a higher rate than those exposed to natural disasters and events. Documented here by the Emory University is some of the symptoms of Post-traumatic stress disorder discussing the three classes of trauma. You may have already heard of OCD or Obsessive-Compulsive disorder in the past from films and TV shows about cleaning and organization. The obsessive-compulsive disorder doesn’t have any preference on its victims. OCD consists of obsessive thoughts and feelings that continue to be in control of your habits. This can manifest in the shape of excessive hand-washing, a fear of situations and act out against loved ones. Young people around the world have been a victim of OCD, 5.5 million young people suffer from OCD worldwide. This mental anxiety disorder has crippled even the most famous of people, with Megan Fox, Justin Timberlake, Leonardo Dicaprio becoming those with past issues with OCD. New therapies and conferences have helped to progress OCD therapy, a new movie called “OCD Kids Movie” helps to document the story of young people with advice, tips and a plan to help solve their everyday issues. 1 in 40 U.S adults could be a sufferer of OCD and 1 in 100 children will face OCD, these figures are shocking to many, but provide us with an overview to the scale of the problem. Cognitive Behavioral therapy is one of the named solutions to OCD. Anxiety can be combatted in various ways. Understanding your anxiety type is one of the first steps to help the medical diagnosis. The brain plays a larger role in the process of anxiety. According to the National Institute of Mental Health, the brain is a key performer in the production of fear and anxiety, in summary, the amygdala part of the brain stores the emotional memories whilst the hippocampus provides a way for the brain to encode threatening events into memories. Taking control can start with a simple visit to the doctor’s or hospital to get medical treatment for your anxiety. Others tend to try and solve anxiety at home, with recommendations from experts, reading blogs and other such media. There are lots of media sources that will help, but medically it is beneficial to get a diagnosis and plan of action to support your road to recovery from anxiety. Supporting materials like apps, resources, magazines, books, remedies, nutrition, techniques, practices and more can all provide a depth of insight into your anxiety issues. Don’t worry you are not alone. Hundreds of thousands of people right now might be suffering from anxiety, just like you or a family member. Even celebrities and famous individuals have been prone to anxiety. From the ones who have spoken out about anxiety, all have experienced similar reactions and damaging experiences, from Beyonce to Emma Stone. Even the most successful have suffered. Anxiety does not discriminate. Providing yourself time to recover and the resources to alleviate your anxiety will help you achieve your desired outcome of reducing stress related situations and anxiety for future interactions, situations, and challenges. Try Therachat, a free iOS & Android app to journal, track your emotions and spot patterns. It has been created by therapists and helps 61% of users reduce their distress. I have a type of anxiety of having problems expressing my self and putting the right words together. What would be the problem if i am diagnosed with Schizophrenia illness for the past 13 years and i still have the same symptoms? to answer. I was wondering, What is it like to have social anxiety disorder? worried I might have it. I would appreciate any insight you can provide.